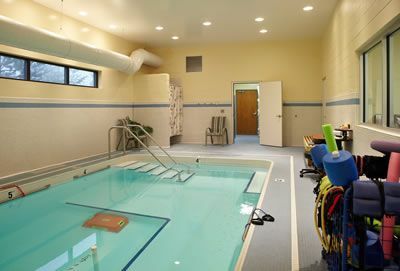 West Michigan Rehab and Pain Center offers a full-range of aquatic and pool therapy options at both Greater Grand Rapids office locations. 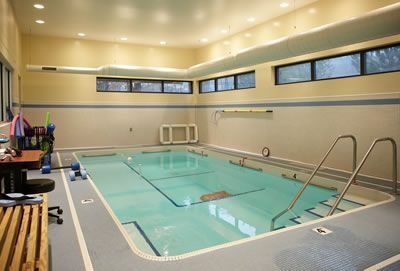 Our pool and aquatic therapy sessions use the advantages of warm water buoyancy, pressure, resistance, and viscosity to assist patients after injury or those with chronic illness. Water therapy helps support patient weight thus reducing force on joints. Additionally, pool therapy offers a natural resistance. This resistance, coupled with the low impact nature of aquatic therapy, allows our patients to build muscle strength at a faster rate than traditional physical therapy programs. After you have completed your independent aquatic therapy program, our experienced technicians can work with to customize a unique individual program designed specifically for you to continue your therapy on your own. All you have to do is schedule a time to come in and use our pool. This is also a great way to get needed exercise while you’re still in recovery or need to continue to manage your pain. Working in a warm water relaxing environment releases endorphins (good hormones) which reduce pain and increase circulation. Less joint stress means less painful exercise, allowing our patients to extend both the duration and intensity of therapy. Our aquatic pool therapy programs lead to faster recovery times and improved overall range of motion. Anywhere in the Greater Grand Rapids area, we invite you to contact us to discuss our aquatic therapy programs.